Should You Start or Continue Speech Therapy During the Holidays? The holidays are fast approaching and we know it’s a busy time for everyone. Between family events, your children’s school events, holiday shopping, and everything else going on, you may be tempted to put a pause on your child’s speech therapy sessions. At Lil’ Chit-Chat, we’re here to encourage you to not take a break from speech therapy during this time. If you’re like most of our pediatric speech therapy clients in Hermosa Beach, Redondo Beach, and Torrance, your child likely just began receiving speech therapy at the beginning of the school year. With only a couple of months of therapy behind them, they are just now starting to gain some serious momentum toward their speech and language goals. Taking a break from speech therapy now can put a halt to all of that momentum. You may be thinking: “Our family gets so busy over the holidays. 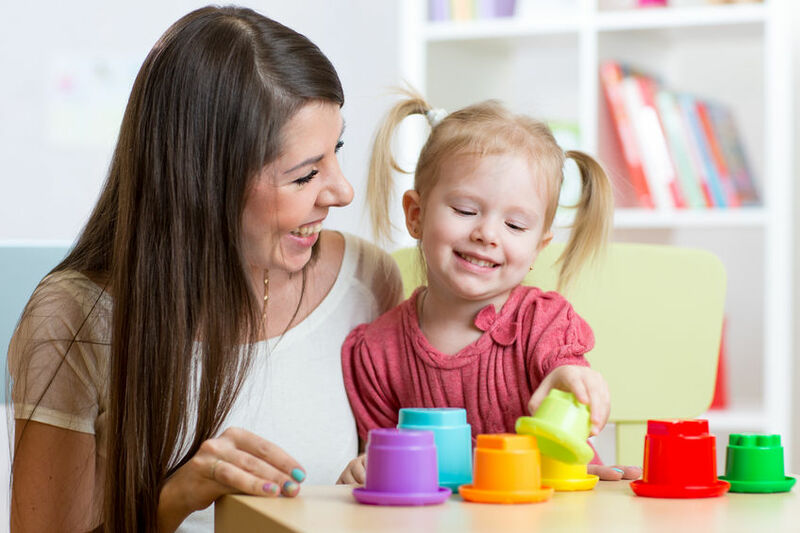 We won’t have much time to work with our child in between therapy sessions anyway, so why even bother with therapy right now?” However, there is plenty you can do with your child to further their speech and language development, even with a hectic schedule. The holidays in particular offer some great opportunities to work with your child in the areas of speech and language. There are new things to see and more people to interact with, giving you a chance to incorporate new words into your child’s vocabulary. In addition, your child may also receive some new toys that will open up new opportunities for play-based learning. If you’ve been thinking of starting your child in speech therapy, but have decided to wait until the new year begins to have your child evaluated by a speech therapist, we’d like to ask you to reconsider. If your child is delayed in their speech or language development, there is no better time to start them in therapy than now! We say it all the time, but it bears repeating: early intervention is key when it comes to speech and language development! If you’re not sure if your child actually needs therapy, we’d love to talk with you, answer any initial questions you have, and schedule a consultation with one of our licensed speech therapists in the South Bay. We know it’s a busy time, or if it’s not busy for you yet, it will be soon! But don’t put off something as important as speech therapy for your child. You’d be surprised at the progress your child may be able to make in just a few short months, and you won’t ever regret the time you invested in your child’s speech and language development. If you’re ready to get started, contact Lil’ Chit-Chat today. We hope to hear from you soon!